Ground Allspice is not just for baking, but can also be used in savory cooking. Spiceology sources high quality premium spices, herbs and salts for chefs and spice enthusiasts. 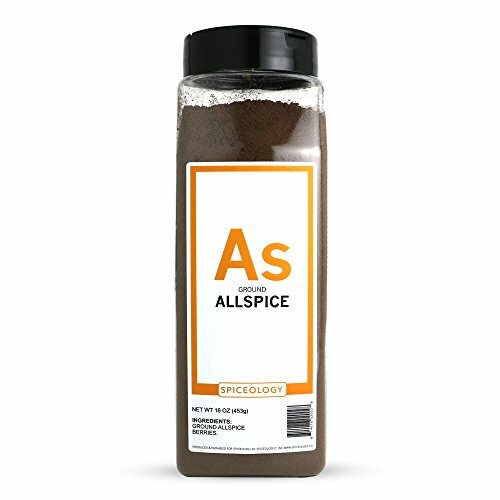 Use allspice in rubs, stews, tea and baking. Spiceology sources high quality premium spices, herbs and salts for chefs and spice enthusiasts. Ground Allspice has hints of clove, cinnamon and nutmeg and was named allspice because of that fact. Use in sweet or savory dishes, stews and soups. If you have any questions about this product by Spiceology, contact us by completing and submitting the form below. If you are looking for a specif part number, please include it with your message.